1. Yarn. Wagtails Kid Mohair 4-ply. I bought this in New York last May. 2. More yarn. Some Knitwitches cashmere silk laceweight. This is more variegated than it seems in the picture. 3. Blue flowers on a sundress by the blue waters of the Agincourt Reef, part of the Great Barrier Reef. 5. Blue coats on my friends Louzle and Paul. 6. 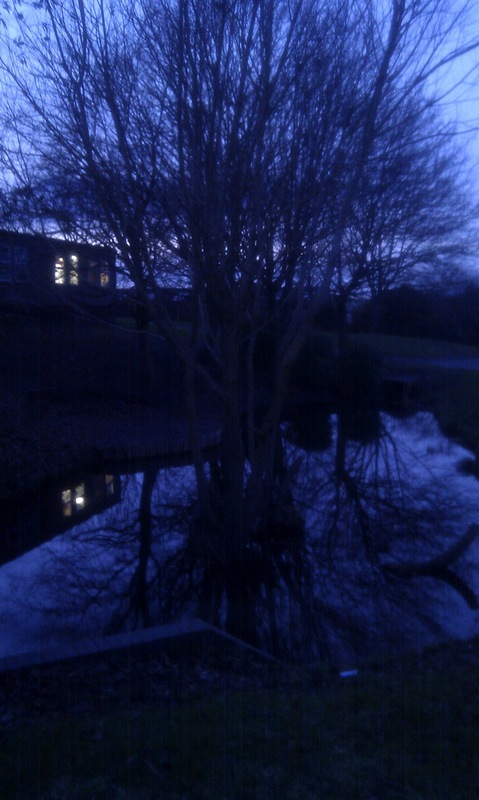 Blue light over the pond at school at dusk. Very pretty. 7. The Blue Lagoon in Iceland. That's blue. It's even in the name. 8. Blue, blue waters off the Isle of Capri. 9. Down by Durdle Door. 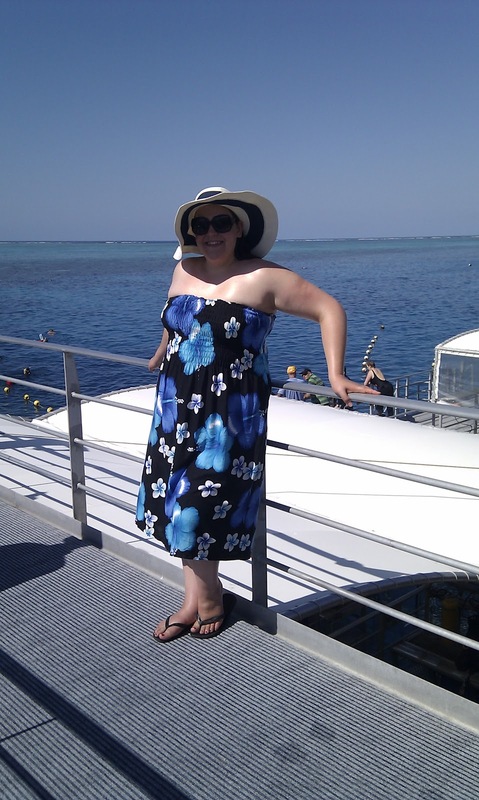 Never knew the sea could look so blue in this country - and I grew up on the coast! 10. Oh, um. Yarn. More yarn. It has been a while since we had a picture of some yarn though, hasn't it? It worked! Looking through old pictures has definitely made me more cheerful. However, it has not assisted me in managing my workload. Sigh. The photo of the pond is beautiful!